While some experts say mum's the word when it comes to nanoproducts' environmental safety, others believe that cannot be good for the future of the technology. Barely a decade after the industry got its start, nanotechnology is poised to sweep the globe. Touted as the next industrial revolution, potential uses for nanomaterials include highly efficient solar collectors, medical devices capable of delivering medications to individual cells, odor-free gym socks and invisible sunscreen lotion. Nanotechnology fabricates and manipulates objects at a very small scale, less than 100 nanometers in size. For an idea of how small that is, a sheet of paper is 100,000 nanometers thick. A red blood cell is 7,000 nanometers across while a DNA molecule is 2.5 nanometers across. The fullerene, a ball-shaped molecule with wide-ranging potential in commerce and industry, is a man-made sphere of carbon with a diameter of just 2 nanometers and can be fabricated using as few as 60 individual carbon atoms. At the nanoscale, some materials show unusual properties not apparent in bulk-size versions of the same materials. For instance, carbon atoms formed into nanotubes have exhibited tensile strength many times that of steel, while at the nanoscale, substances that are normally chemically inert, such as gold, can act as a powerful chemical catalysts. These changeling qualities have elevated nanomaterials to star status in science, industry and commerce. According to a recent survey by Lux Research, which tracks emerging technologies, 807 consumer products, marketed by 420 companies, contain engineered nanomaterial components. Lux reports that there are $140 billion worth of "nano-enhanced products" already on the market, while it projects market expansion to $3.1 trillion worldwide by 2015. Inevitably — through normal use, accidental spills or disposal at end of the life cycle — nanoscale materials will enter the wider environment. And for Richard Denison, senior scientist with the Environmental Defense Fund, that raises major questions. Denison says the dispersion of products containing nanomaterials "has gotten way out ahead of our knowledge about them, their possible effects on the environment and on human health." Denison noted he is not opposed to nanotechnology in general. "The high probability is that only a small fraction of the materials would carry risks," he says, noting that the problem is determining which ones. One popular application for nanomaterials has already shown the potential for deleterious effects, at least on the man-made environment. Zhiqiang Hu, a researcher from University of Missouri, has shown that nano-sized silver oxide particles infused in gym socks and some clothes washing equipment to kill germs and keep everything smelling fresh don&apos;t always stay put. He says the silver-oxide can wash off and can be carried along with rinse water to the local wastewater treatment facility. Once there, the particles retain their antibacterial properties, impairing the reproduction of the helpful bacteria that play an essential role in water treatment. According to Chemistry World, J. Clarence Davies, a former senior official at the U.S. Environmental Protection Agency, said, "There is good reason to believe that at least some kinds of nanomaterial are a threat to human health or the environment, and at the moment we really don&apos;t have any regulatory system for dealing with that." He has called for the Obama administration to "quickly implement new oversight mechanisms for nanotechnology. Such actions include collecting safety information on uses of nanomaterials in food production and packaging; updating federal occupational safety laws; and defining nanomaterials as &apos;new&apos; substances under federal laws, thereby allowing agencies such as the Environmental Protection Agency and the Food and Drug Administration to obtain more information on nanomaterials." Denison says Environmental Defense Fund, along with several technology and environmental advocacy groups, several years ago, began a dialogue with the EPA to begin mapping out a nanomaterials regulatory strategy. In January 2008, the EPA initiated a Nanomaterials Stewardship Program, a voluntary reporting program aimed at gathering information about nanomaterials either currently on the market or contemplated for commercialization. The program encourages manufacturers, importers and users of engineered nanoscale materials to provide the EPA with information about these materials — including their physical and chemical properties, hazards, uses, scope for potential exposure and associated risk management practices. According to EPA spokesman Dale Kemery, the program also includes an alternative voluntary "in-depth" branch, through which companies will develop and submit to the EPA "health and environmental effects data" on a subset of nanoscale materials that they use. As of December 2008, 11 months into the program, only 29 companies and organizations had enrolled, submitting information on a mere 123 out of a total of 2,084 potential nanomaterials. Denison agreed. 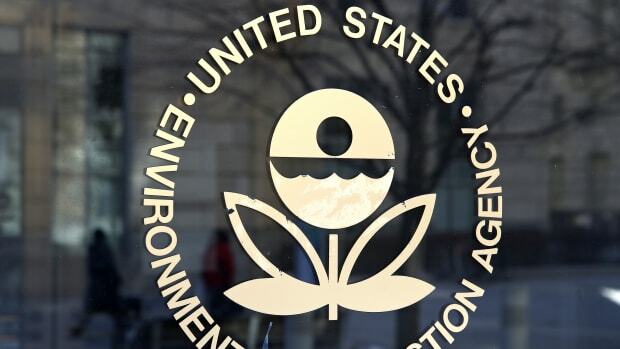 He said the original recommendations of EPA&apos;s own advisory panel contained both voluntary and workable mandatory reporting provisions, which would have made the data-collection process much more efficient, but, according to Denison, the agency favored an entirely voluntary approach. A close examination of submissions that have been posted on the EPA&apos;s NMSP Web site reveals, Denison says, additional shortcomings of the voluntary disclosure approach. For example, as a protection for proprietary information, EPA provided companies the option to designate certain categories of product information confidential. According to Denison, the use of the confidential designation highlights the most prominent feature of several of the company reports - how little information they offer, obscuring, in some cases, even the name of the material that is the subject of the disclosure. But Bill Gulledge, nanotech group manager for the American Chemistry Council, which represents chemical manufacturers, said the level of participation in the EPA&apos;s stewardship program has been encouraging. Looking over a list of the first 20 or so participating companies, he said the major nanotech players in the chemical manufacturing field are well represented. Gulledge believes early participation in the program may have stalled because of "misunderstandings about the level of commitment required." Gulledge says he tells his constituents that the EPA does not require companies to perform environmental health and safety tests of their nanoscale materials, but it does require companies to report information already on hand or readily accessible. In spite of such a modest request, Gulledge says outreach among chemical manufacturers has been a continuing challenge. Nevertheless he has begun "encouraging members to sign up for the in-depth program." Providing the government with in-depth information on their nanoscale products, Gulledge says, will give companies the opportunity to help build the knowledge base needed for appropriate regulation. But equally important, he said it gives them the opportunity to properly "frame" the information they provide about the materials they either use or have under development. A major quandary facing nanotechnology regulation is how to classify identical chemical substances with divergent properties. The EPA&apos;s Kemery said many nanoscale materials are already regulated under the agency&apos;s long-standing Toxic Substances Control Act, which requires manufacturers of new chemical substances (i.e., those not on the act&apos;s existing Chemical Substances Inventory) to provide specific information to the agency for review prior to manufacturing the chemicals or introducing them into commerce. However, many nanoscale materials have the exact chemical composition of their bulk scale counterparts, but as mentioned earlier, have potentially, very different physical properties and effects. For this reason Denison, Davies and other observers would like to see nanoscale derivations with novel properties treated as new substances for regulatory purposes. In his recommendations for the new administration, "Nanotechnology and Oversight: An Agenda for the New Administration," Davies laid out a new course for the National Nanotechnology Initiative. He recommends setting aside $100 million in the fiscal 2009 budget for nanotechnology risk research that would proceed in tandem with applications and developmental research. The President&apos;s 2009 NNI budget proposes an increase from the $35 million allocated to ESH R&D in 2005 to $79 million for the coming fiscal year. The voluntary nanomaterials stewardship program remains, for the time being, the primary means of gathering EHS data on existing nanomaterials. In congressional testimony delivered in February at a hearing titled Revisiting the Toxic Substances Control Act of 1976, Davies advocated for major procedural and reporting changes in the law. In reference to nanotechnology, he said, "There is a large mismatch between the current regulatory system and the characteristics of 21st-century science and technology." Davies says the government must play the key role in safely ushering in this new technology even if it demands the creation of new forms of oversight. "Given the potentially great impact of a failure to identify and control an adverse effect of nanotechnology, should we really leave its identification and control in the hands of those who are producing it?" A growing chorus of observers believes that nanotechnology needs better oversight, especially as it works its way into household staples like cosmetics and sunscreen. The race to know how nanoparticles affect living things is on, even as the use of those particles is increasing exponentially. While Arunava Majumdar says America urgently needs to come up with clean-energy “game changers,” until now there hasn’t been a systematic approach to develop them. Two of the three invited scientists agreed with the rule, even though other evidence suggests most scientists are against it.